The EyeLove EyeCare Mobile Optometrist provides onsite eye examinations at a convenient time and location for you. We can take care of your staff's vision at the workplace, or your family's at home, so you can relax and put your feet up. Taking care of your vision and eye health has never been easier. Our staff are friendly, professional, and always willing to give expert advice from a wealth of experience in the eye care field. So call to book an appointment today, then relax, and maybe put the kettle on, and have your next glasses prescribed from the comfort, privacy and safety of your own home. A standard $75(incl gst) callout fee applies per visit across Auckland. However, for visits which include 4 or more eye examinations, we will waive this fee (so get your friends or family together and give us a call). For outside of Auckland, the callout fee may be a little higher, depending on distance travelled and other work we may have in the area. Please contact us for an accurate quotation. *For callouts with four or more patient eye examinations, the callout fee ($75.00+gst) is waived! A standard eye health check, includes prescription determination, screening for glaucoma; early detection of cataracts; screening for diabetes; eye pressure checks; and screening for a multitude of other eye health issues. It is typically $60(incl gst) per person, and takes roughly half an hour to complete. 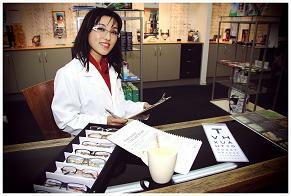 Allow the optometrist another half hour to set equipment up, and pack it down again for the mobile service. CLINICAL EYE HEALTH KIDS eye test (pre school children eye tests), Drivers license eye exam, Dilated Fundus examination, Cycloplegic Examination, Eye pressure test, Cornea health checks, and vision screening (quick prescription checks). DRIVER'S LICENSE eye examinations: drivers who require vision correction for driving may only find out they need a checkup from failing the eyesight check at the AA license testing station. AVIATION VISION EXAMINATIONS Our optometrist is accredited by the Civil Aviation Authority to perform pilot eye tests. ORTHOKERATOLOGY: With Orthokeratology overnight lenses (ortho-k or OK lenses for short), correcting your vision whilst you sleep may be possible for yourself or members of your family. Simply book an eye consultation with one of our optometrists to see if your eye sight can be greatly improved overnight. CONTACT LENSES first fitting and refitting, and subsequent prescription renewal. We supply affordable and great looking colour contact lenses, as well as a full range of high quality prescription lenses. Check our store for more information. SUNGLASSES We have a wide variety of styles, and are able to tint high quality prescription lenses to suit sunglasses frames. We also stock polarised ‘FITOVERS’ a pair of sunglasses that will fit over your prescription glasses. An excellent solution when you need to block out the glare whilst driving, or on the water (fishing). We can provide transition lenses, which darken in the sunlight for greater UV protection, and convenience. FRAMES AND LENSES Being part of the EyeLove EyeCare group gives us access to excellent prices on many types of lenses, and a good selection of glasses frames and spectacles. Let us know if you have any specific style requirements and we will bring along some samples with our brochures. We also have a showroom, located at our Panmure clinic. SAFETY GLASSES It is extremely important to protect your eyes, and clearly see what you are doing in the workshop or other potentially eye hazardous situations. To this end we have a range of prescriptable safety glasses and goggles available. REPAIRS As we have our own workshop and repair bay, we can mend broken glasses in all but the worst cases. You can drop them in to our Panmure clinic during working hours, or post them to us. Just give us a call and let us know they are coming. Want to know more? Try our FAQs.